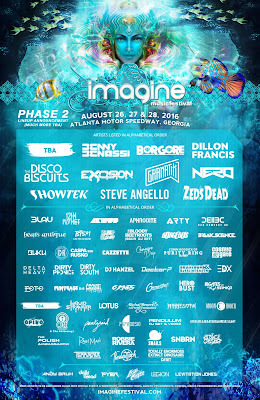 Imagine Music Festival, a 3-day camping electronic dance music festival in Atlanta, Georgia, has announced the second round of artists set to perform at the third annual event on August 26 - 28, 2016 at the Atlanta Motor Speedway. 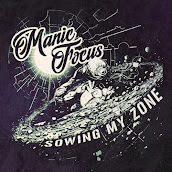 Joining an already impressive lineup of over 30 artists are: the Disco Biscuits; Steve Angello; Arty; DJ Hanzel; Minnesota; Ott & The All-Seeing I; Papadosio; Rain Man; Robbie Rivera; Snails; SNBRN; Thomas Jack; Totally Enormous Extinct Dinosaurs (DJ set); Fyer; Leah Culver; Legion and Levitation Jones. "This is a monumental year for us, so we had to make sure the lineup was impactful and touched a diverse group of dance music fans," says Iris Presents founders Glenn & Madeleine Goodhand. 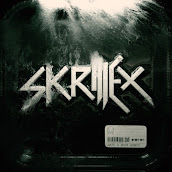 "Imagine fans expect us to deliver an exceptional experience, and we will not disappoint. We aim to provide every attendee an environment where beautiful memories will be made, that will last forever." As one of the country’s last remaining independent festivals, Imagine is an all-encompassing, 360-degree sensory experience that blends music, circus troupes, performers, dancers, art, workshops, classes and more. The festival will continue to build on its immersive aquatic fairytale with an abundance of performers, live acts, unique atmospheres, vendors and The Imaginarium’s variety of sacred teachings, ceremonies, and transformational workshops. 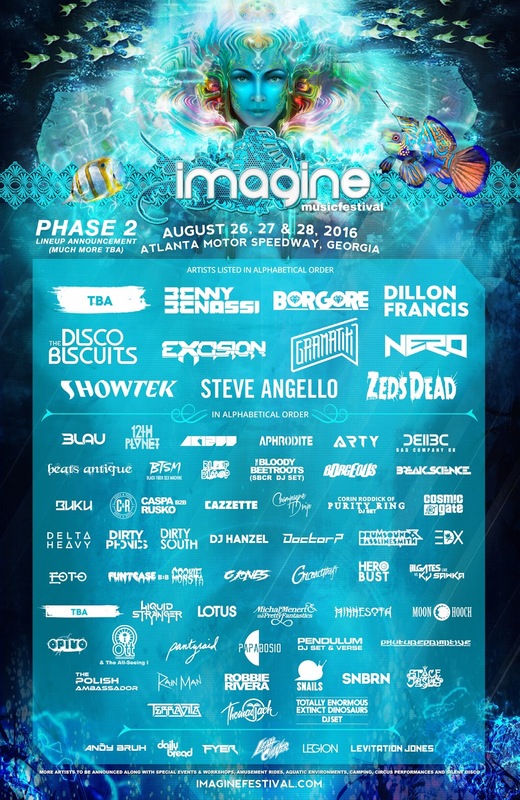 Welcoming close to 26,000 attendees in 2015 from across the country, Imagine recently announced that it would be calling Atlanta Motor Speedway home for 2016. Tickets are available now starting at $169 for a 3-day pass. VIP passes, with front row pit access, elevated viewing area, VIP access, air conditioned chill lounge, bottle service, cocktail service, complimentary champagne toasts, private security, clean trailer bathrooms with running water and air conditioning, giveaways, meet and greets, and more are available starting at $299 for a 3-day pass. Camping passes are now available to purchase as an add-on to the festival tickets, with prices starting at $69. Camping packages include: car camping, tent camping, VIP car camping, VIP RV camping and Sky View VIP RV camping with perfect views of the stages. Tickets are available online at www.imaginefestival.com. 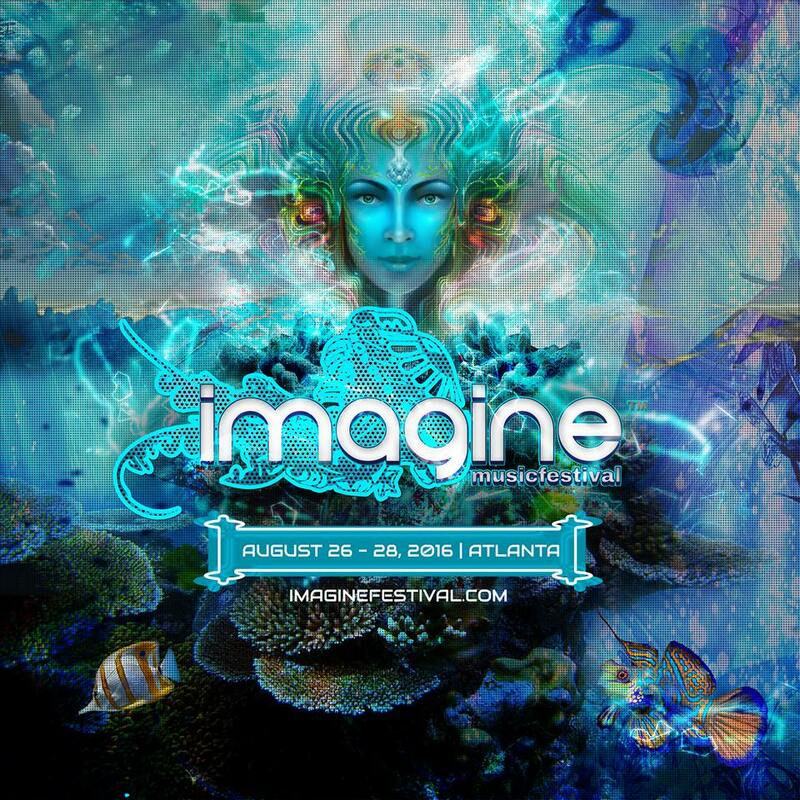 Imagine Music Festival is an 18 and over event.